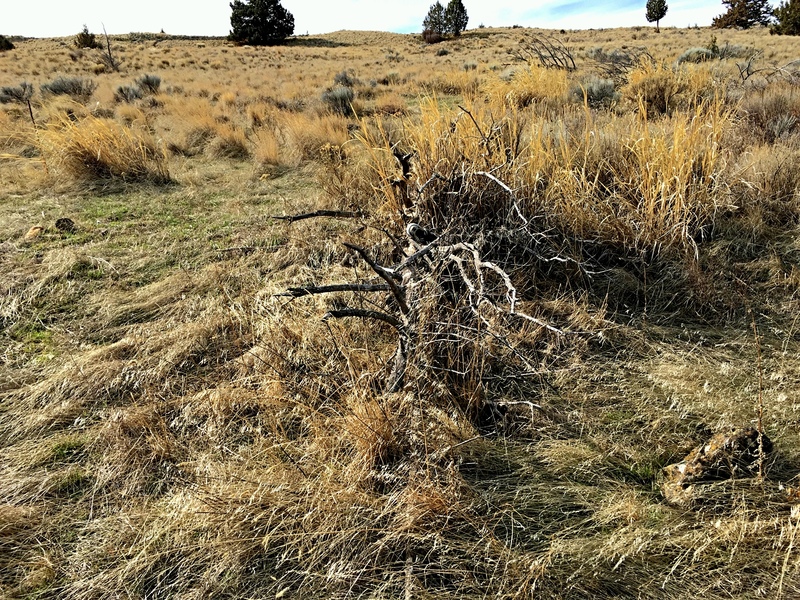 Near Shaniko, Oregon, was another “shoe tree.” This one has also met its demise. After spending a few weeks in Mount Vernon, Washington, I could delay no longer and left for Nevada. I arrived a few days ago and began working on those tasks that absolutely must be done. I have a bit of breathing space now, so I can start on the other things I want to do and have time to play a little. I left Mount Vernon on St. Valentine’s Day, after helping my friend get through some tasks that had been waiting for her attention. One of the things I’m good at is looking through things in storage, sorting quickly, and then organizing those things that need someone else’s attention/review and discarding the remainder. So, this is what I did that morning. I handed off those things that needed her attention, then carried bins to her storage area for her. We shared a bite of lunch and watched a little television (Walking Dead Marathon) as I realized it was time for me to go. So I said a very difficult “Good Bye” to her, her dogs, and Mount Vernon and drove into town to refuel and head out. Sunday afternoon is a good time to drive through the Seattle suburbs. There was traffic, but nothing like what I experienced on my way north. It did not take long to be on the long upgrade to Snoqualmie Pass. Rain fell on us off and on, but no snow. Soon, we crested the pass and descended onto the east slope of the Cascade Mountains. The farther east we drove, the less rain and clouds we experienced. After a bit, I checked my road atlas and decided to stop in Yakima for the night. I had food with me, so the Girl and I went for a walk, then settled in for the night. We both enjoyed our bite of supper while I checked the television for the next day’s weather. We drove US 97 south to Bend, Oregon and then on to La Pima, where we took SH 31 southeast, finally connect with US 395. As I drove into Lakeview, Oregon, I recalled the last time I passed through this interesting small town in southern Oregon. I stopped there last June on my first trip to Mount Vernon to get a bite to eat and find a few geocaches. It was a beautiful June day last year, just a hint of the oncoming afternoon heat in the morning air. This time through I stopped for the night. Alturas, California was a little beyond my reach. There’s a wonderful little hotel in Alturas where I’d stay anytime. But I didn’t have any miles left in me, I wanted out of the car for awhile, and the Girl needed a walk. So, Lakeview it was. Given there were only about 250 miles to go, I wasn’t motivated to make a really early start. We didn’t languish too long in Lakeview, but didn’t rush out the door either. The route through northern California is quite beautiful and we stopped along the way a few times to enjoy the outdoors, get some exercise, find a geocache, be alive. Yes, there is now an element of just being alive. Somewhere along all the miles over the last three-quarters of a year, I found something that was lost. There were a few glimpses in the years since 2005, when I left my clinical depression behind. I shared many of those moments with Wife before her decline. As I recover from Wife’s death, I find myself in moments of simple joy; simple happiness. I am able to spread my arms wide, look into God’s sky, and be thankful to simply be alive. There are entire days that come and go and I feel gratitude. I am grateful for many things — all the years I shared with Wife, even those difficult times that measure character. I’m grateful for my family (and hers). I’m grateful for my children and grandchildren. I’m grateful for old friends. I’m grateful for new friends. I’m grateful for my dog training friend and her dogs. I’m grateful that I’ve been able to get to places where I can see people who are important to me, whom I love. I feel happiness again. I’m able to feel light, to run with the dogs, to look at the mountains, the sky, my dog, and feel the lift the comes from joy. I’m able to thank God for his grace and mercy. Happiness is not a constant state. Without periods of non-happiness, the value of the gift is lost. So, I don’t feel happy all the time (I’m not sure that is even possible). But, I have big chunks of time now when I feel good. It has been a very long time. I have some additional thoughts on this. Maybe I can pull them together for another essay. We’ll see. In particular, there is a small rest stop along US 395 in the California mountains north from Susanville. I can’t remember the name, but that’s not important. The Girl and I got out of the car, I made a sandwich, snagged a few carrots from the Yeti, and put an apple in my pocket. We bypassed the fence and walked out onto the very rocky ground. She sniffed about, doing her doggie thing, beggin for a bite of my sandwich, and running from me when I chased her. I smiled at her, at the sky, and marveled at the rough terrain. I used my phone to determine there was a geocache only a few hundred feet from my location. We hunted it down. I listened to the passing traffic, busy folk on their busy ways. I listened to vehicles stop at the rest stop for breaks. I gave the Girl the last bite of my sandwich, laughing at her as she ever-so-gingerly took it from my fingers, knowing that if she gets snappy I’ll palm the morsel. I enjoyed my apple, it’s sweet-tart crunchiness a nice ending to a cold meal taken outdoors with gratitude and joy. We ran back to the 4Runner, laughing, and knowing that it was time to drive out the last of the journey. We drove on, she snoozing in the seat next to me, me with music playing just enjoying the road. We drove through Reno and on to Carson City so I could retrieve a few things from my storage unit and see Younger Son. We spent a couple of hours with him, catching up on the news, enjoying some food, relaxing. The Girl and I returned to Reno to meet a friend for coffee at a favorite place, Java Jungle. Then the Girl and I found a hotel where we can stay a few nights. Tired and happy, she waited on her little bed in the hotel room while I schlepped necessaries from the 4Runner before calling it a night. I knew I’d be busy the following day and would need a few days to regroup. It will take me a couple more days to regroup. It’s good to be in western Nevada once again. A part of me would love to stay here. It’s familiar, it’s beautiful, it’s not too cold, there is sunshine many days. But, my sense is that my time as a resident of this place is ended. My intuition tells me that I’ll move on to another place, or to other places. Maybe it’s time to be simply a nomad, having no home other than what I carry with me. I just sense that this is no longer my home. That thought would be material for yet another random rumination (YARR). I decided a long time ago that we have no way of judging happiness without having to experience unhappiness. Yep, I am crazy that way. And I suppose I’m crazy that way, too. There is a ying/yang to all those complementary emotions and we need both to appreciate them both. I wise man once taught me that the hard times provide the education we need to appreciate the good times.